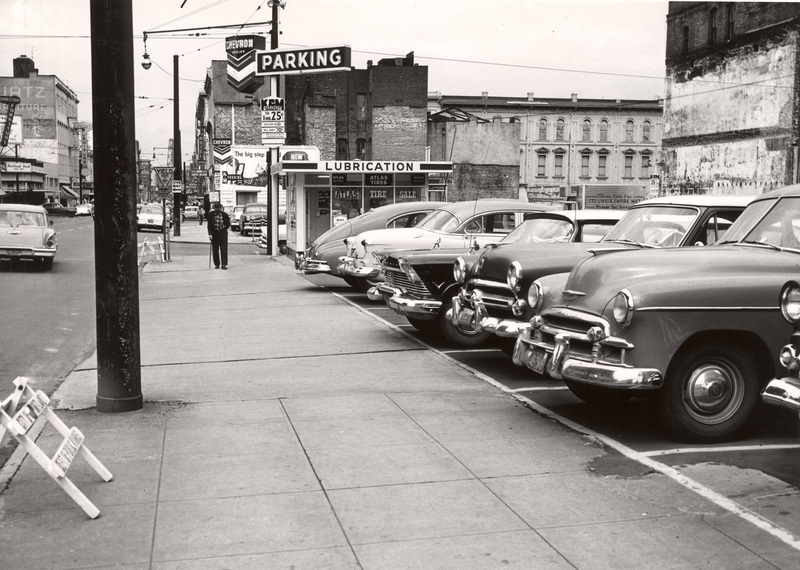 This stretch of SW 2nd Avenue, where it crosses SW Taylor, was dominated by parking lots in 1958. World Trade Center Building 1 would rise on this lot on the immediate right. The Strowbridge Building can be seen in the right distance on SW Yamhill Street.